Previous 2 Year Question Papers of CDS and NDA. Should Sachin Tendulkar Retire now ? Earn and Learn program(EALP) is an innovation started by a software company of India named Impact softech. 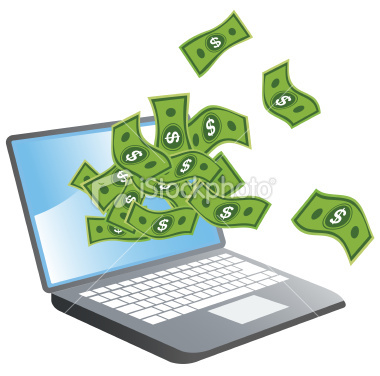 Basically, Earn and learn Program(EALP) is a way to earn money without Investment online. Best Part time Earning For Students, is what others who try term it. --------------->>>> But it's only for Indians. >> How to Earn via it?? >> How Much you may earn?? Ealp consists of many websites where you participate in a Competition and top 30 or top 20 guys get paid some amount rupees mentioned . It's basically a forum based system where you earn points to give an answer, when you start you get 5 points per answer and if you give nice answers you may get an increment in points per post(i currently get 14 in a forum, some members do get even 30 Points per answer). Now, one session is of 15 days and as i said earlier ,Top 20 or 30 guys of that Session get paid specifed amount(which i mention at last). Topper of a session gets 2500 rupees per session. Mostly Toppers have 2000 to 3000 points in each session. >> To start Earnings, first visit check the list of websites i gave at top. >> Now, you start posting answers, remember there are some rules you must comply , otherwise it may cost you many points. >> After giving an answer you instantly get paid 5 Points and your answer gets awaited for approval by moderator, if it's a valid answers then you may see your answer , and if it's not valid or copied answers then points awarded will be taken back. >> On every forum, mostly Moderator is named as Support. >> Question are regarding career or whatever regarding website is that one., you working for. ......................It goes on upto 30 th position, after 5th Position none gets a certificate. Well, if you daily expend 2 hours here, then in starting days you may easily earn around 2500 rupees Monthly, Later it may boost up too much. >> Well, if you daily spend just 10 hrs a Day, then You may totally earn around some 15000 to 20000 rupee Monthly, provided you work on around 4 or 5 forums daily and you have eagerness to earn. Example : I earned 5000 in this 15 days , since i had kind of Nothing to do, only 5 days college was open so you may imagine, how much you may earn. There's a Membership called TAFP at entrance-exam.net which pays 3600 bonus for each 300 posts, so if you are a TAFP member you may earn scholarship + TAFP = 8000 to 10000 easily. After winning an Scholarship, you get paid via cheque at the Address specified. If you win in August any session, then you will receive cheque by 20th september. If you win, 1000 in first and 1200 second session of August then, you will recieve a check of 2200 in 20th of September.